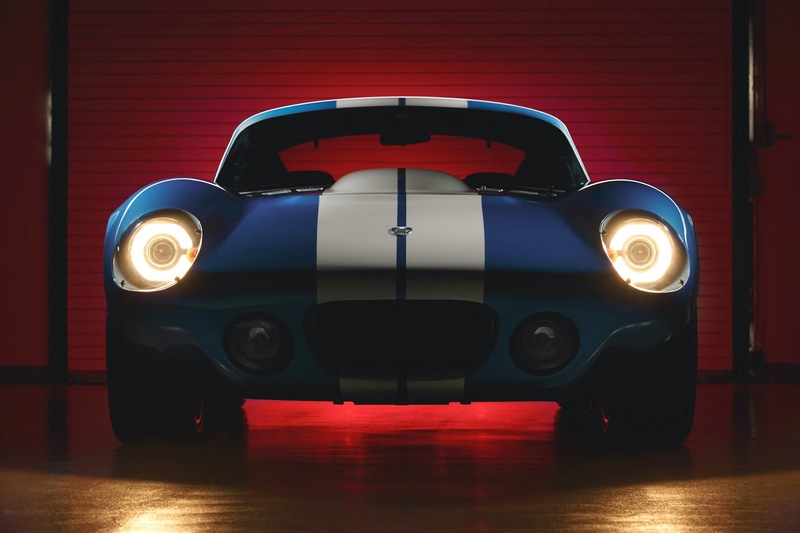 This all-electric 2015 Renovo Coupe is a Shelby Daytona lookalike, decked in sporty blue and white racing stripes. The production prototype was debuted at the 2014 Pebble Beach Concourse d’Elegance last August. While it looks like a classic car from the sixties, you will not find a V8 engine under its hood. 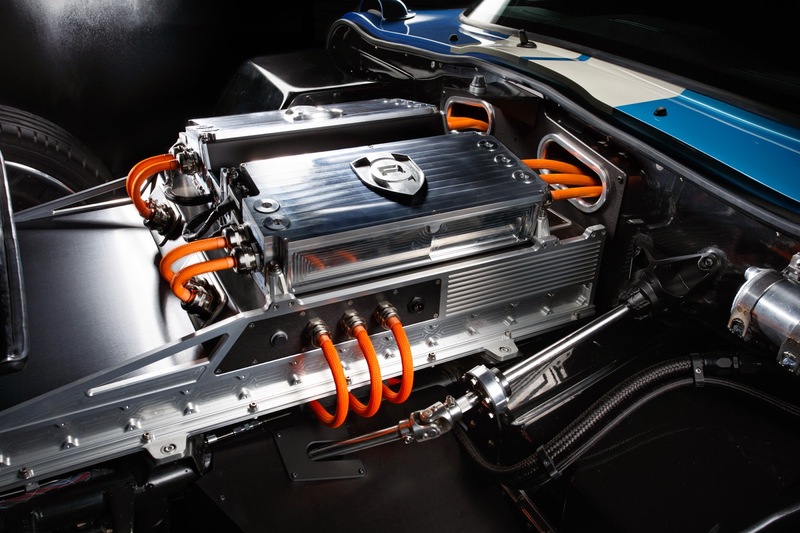 Instead, it is powered by direct-drive twin sequential axial flux motors and lithium-ion battery pack that can generate 500hp and produce 1,000 ft-lbs of torque, catapulting the car from dead stop to 60mph in an impressive 3.4 seconds. The drivetrain makes up less than 40% of the car’s weight, the total of which is only 3,250 lbs, allowing it to cruise to a top speed of 120mph. There is a five-hour recharge time or, if you’re in a hurry, a 30-minute fast charge option. The familiar CSX9000 chassis was supplied by the Shelby American brand, modified by designer Peter Brock to maintain the classic and aerodynamic lines of the original 1964 Le Mans winning machine, while also adding characteristics of a modern supercar. Renovo is taking the car into limited production in Silicon Valley next year; so if you want one, you can own one…for the princely sum of US$529,000.